Aquacultured Acropora sp. at Oceans Reefs & Aquariums in Ft. Pierce, Florida. Image by Matthew L. Wittenrich from The 101 Best Marine Invertebrates. A petition to classify 82 stony corals as Endangered Species under U.S. law could spell doom—or a bureaucratic nightmare—for any business or individual aquaculturing corals or live rock for the aquarium trade, industry experts are predicting. “Listing the corals would destroy the aquaculture business,” says marine biologist and well-known reef protection advocate Henry Feddern, PhD of Tavernier, Florida. “I do not see that listing the corals as endangered would do anything to benefit the coral populations, but it’s going to put a big crimp—a very big crimp— in the plans of anyone who wants to buy, sell, or frag stony corals. You will be able to keep your existing corals, but it may require a permit. “It seems the Endangered Species Act could be used against its own interests, by preventing people from propagating the corals in home aquariums with no cost to the government,” says Feddern. “This could be devastating for native people in the Marshall Islands who are supplying us with maricultured corals,” says Dustin Dorton, hatchery manager at Oceans Reefs & Aquaria (ORA). Dorton and others say that enforcement of the ban on collection, shipment, or sale of the 82 named corals could reach far beyond these species. They point out that many stony corals are very hard, if not impossible, to identify positively to the species level by visually examining live corals. Proving that a particular Acropora sp. coral, for example, is not one of the species listed as endangered could be extremely difficult and could entangle all species of Acropora in a maze of laws, rules, and impediments to trade and possession. Aquacultured live rock, for example, might run afoul of the law if naturally settling stony coral colonies, however small, could not be proved to be species not listed as endangered. “I have been collecting marine life in Florida since 1956. Also, I have a PhD in Marine Biology from the University of Miami, Miami, Florida, am an advisory panel member of the Coral Management Plan for the South Atlantic Fishery Management Council, am deeply involved in the management of this fishery by the State of Florida, and am the president of the Florida Marine Life Association, the trade group of marine life fishermen in Florida. “I do not collect stony corals, but I have witnessed the gradual restrictions and prohibitions on their collection over the years. When collection was prohibited, and stony corals were listed in CITES, businesses and hobbyists began to aquaculture the coral in their facilities. “Businesses were created to culture the corals in landlocked facilities and were able to sell the cultured corals for a profit. 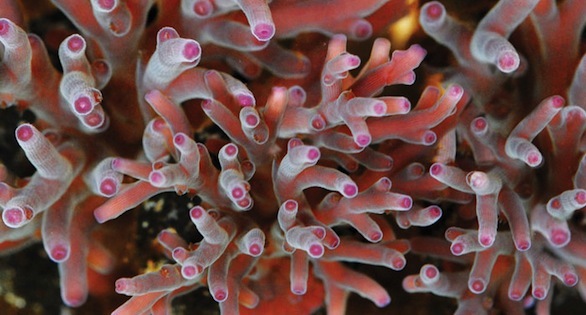 Hobbyists were able to grow these in their aquariums, break off fragments (frags), grow these, and trade them for frags of corals they did not have. “Coral frag aquaculture has become a huge business, employing large numbers of people. A major side benefit of this activity is the continued culture of coral species as a genetic repository, at no cost to the government. I thought NOAA wanted to help the species. “The United States already bans the collecting of stony corals in its waters (as far as I know), and CITES regulations closely restrict sales in the remainder of the world. “Apparently, there are many inconsistencies and shortcomings in the data that tries to justify listing the species as endangered. I do not see that listing the corals as endangered would do anything to benefit the coral populations, beyond what is already being done. “In fact, listing the corals would destroy the aquaculture businesses that have emerged since coral collection was stopped or restricted. It would also deprive hobbyists from caring for and displaying the stony corals (which make up such a major portion of the beauty of a reef aquarium). This is because trade in “Endangered” species is prohibited. I don’t even think that frags could be given away without costly government permits. Would a hobbyist with a frag in his aquarium be required to purchase a permit?